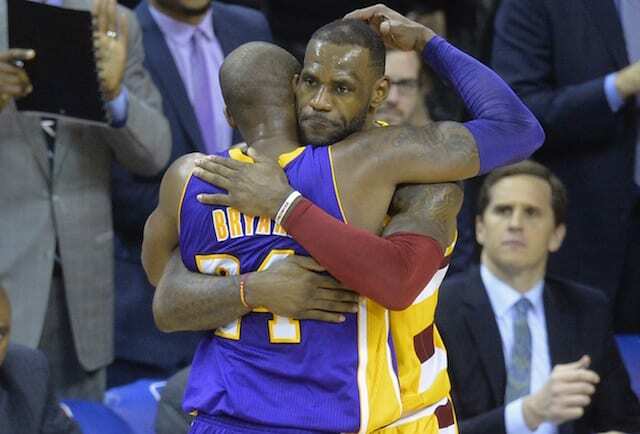 After a disappointing first season with LeBron James, the Los Angeles Lakers were heading into another important offseason that could dramatically alter the trajectory of the franchise. 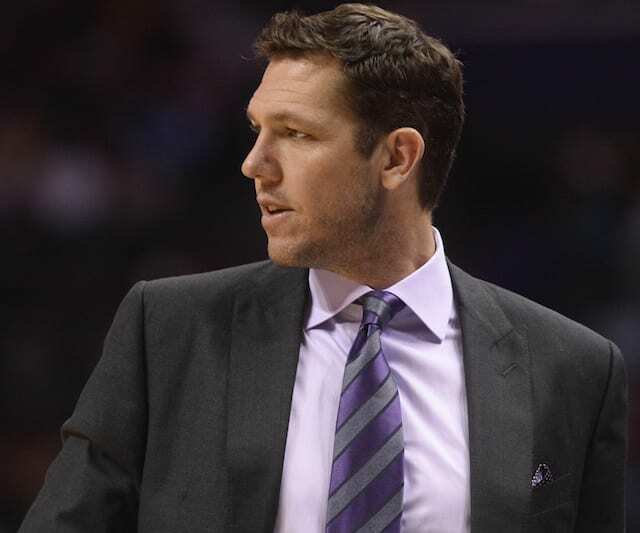 On the surface, there was a pressing matter of Luke Walton’s future as head coach. 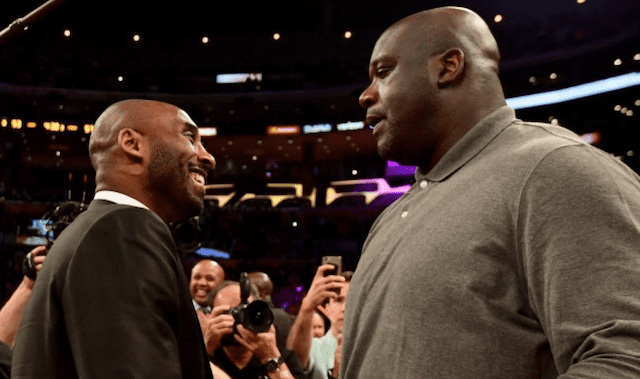 Beneath that and unbeknownst to anyone, however, was Magic Johnson mulling his tenure with team. And on Tuesday night, he abruptly resigned as Lakers president of basketball operations. Johnson’s decision threw the franchise for a loop and seemingly put a temporary hold on any decision pertaining to Walton. 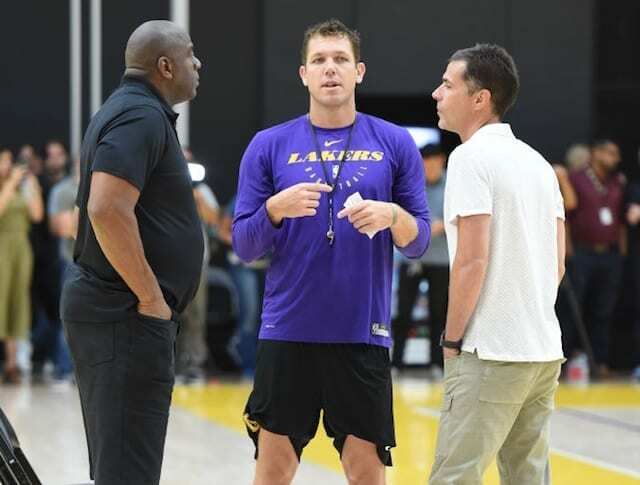 The team is still assessing Johnson’s decision, but general manager Rob Pelinka will stay in his job, and, if anything, his power will grow, sources told Shelburne. 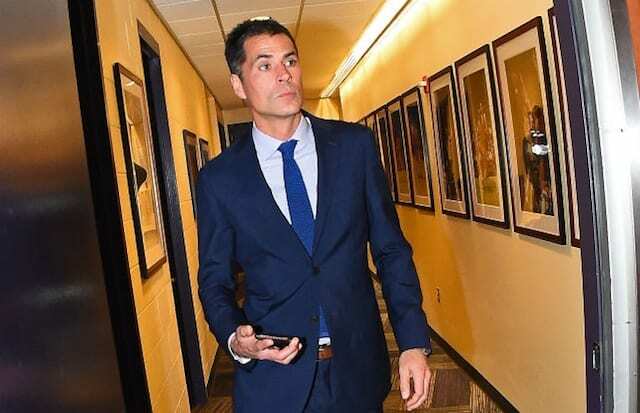 Pelinka was hire soon after Lakers owner Jeanie Buss fired her brother, Jim Buss, and longtime general manager Mitch Kupchak in February 2017. 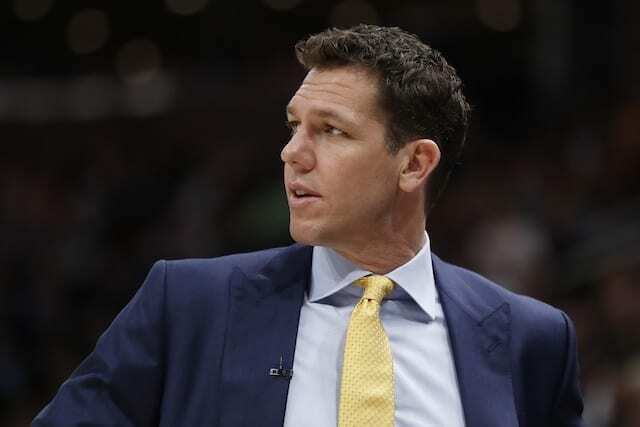 Together, Johnson and Pelinka helped put the Lakers in position to sign James last year while still preserving salary cap space for another max-contract player in 2019 free agency. Though, the duo also had their share of missteps. The Lakers have been fined a combined $550,000 for tampering related to Paul George and Giannis Antetokounmpo, and the roster construction around James was flawed.